I pre-glued about one hundred snowflakes for a recent preschool pancake breakfast. I loved watching the kids decorate their popsicle sticks. Just like actual snowflakes, these sparkly snowflakes each looked beautiful and unique. 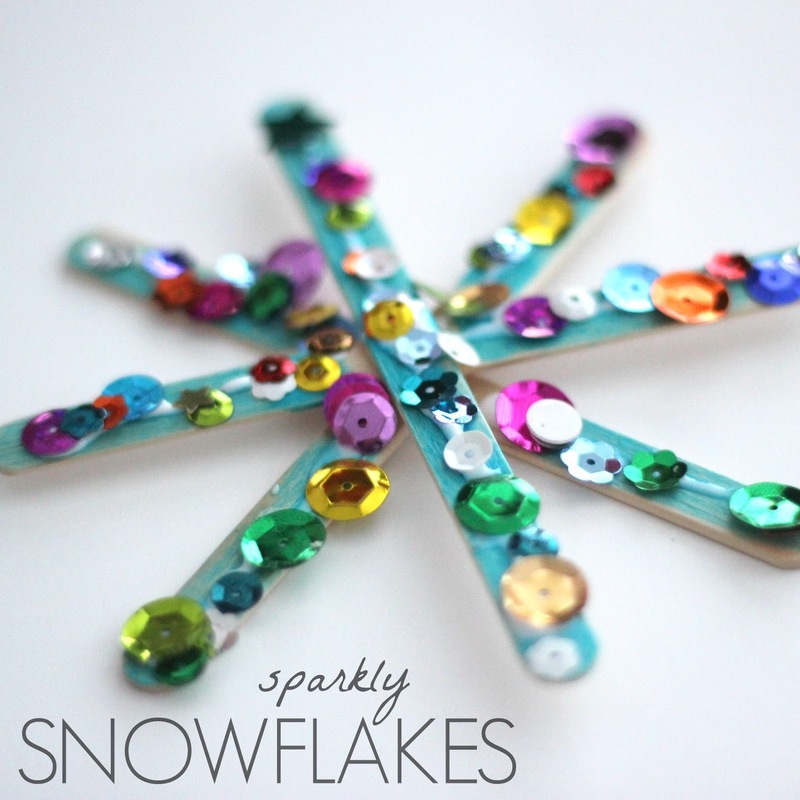 To get started I pre-glued four popsicle sticks together to make a snowflake using a hot glue gun. Then the kids decorated the popsicle sticks with their Dabber Dot Markers. After the marker dried, the kids covered their snowflakes with white glue and then started adding sparkles! To contain the mess with my larger preschool group we used a big container so that the kids could shake the sparkles onto the snowflakes without getting them all over the floor. Once all of our sequins were used, kids could just grab a handful from the big container and sprinkle them on their snowflakes. After the glue dried, kids would shake their snowflakes to get rid of any loose sequins. Once the snowflakes were finished, we added a ribbon loop to them using a hot glue gun and then they were ready to be hung on a Christmas tree or door of window or wherever. 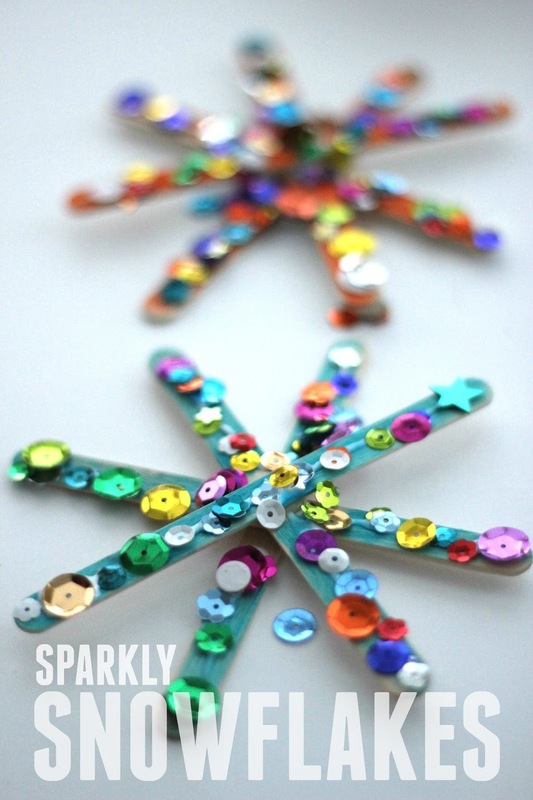 All of my kids were so excited about these sparkly snowflakes and all of the colors! My daughter just enjoyed running her hands through the sequins and glitter again and again. Do you have any other favorite ornaments to make? Here are 10 of our favorite simple ornaments.